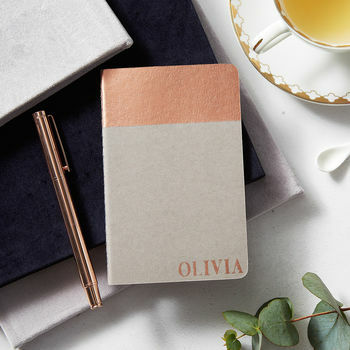 This luxury hand printed personalised notebook is a beautiful birthday gift for stationery lovers! 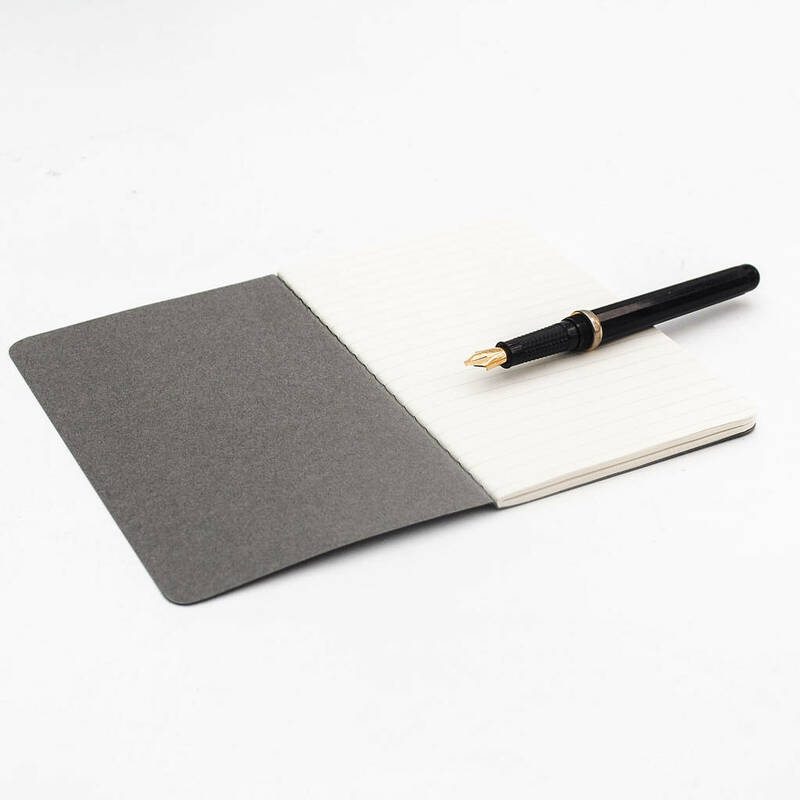 An ideal gift for her, this A6 grey Moleskin notebook has a stitched spine and comes with creamy acid free pages. 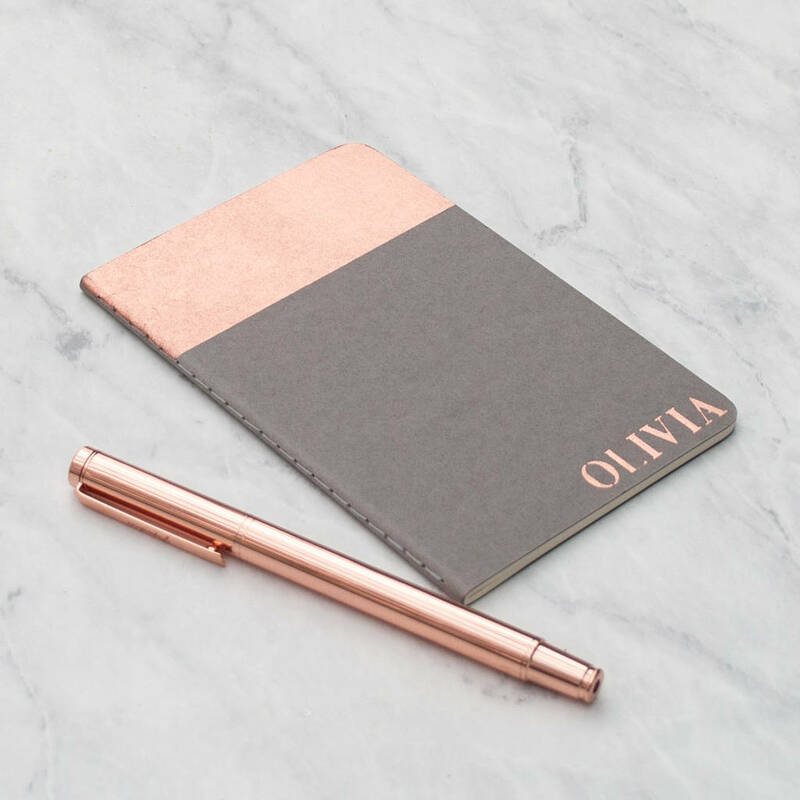 Perfect to plan, draw or jot down your thoughts when inspiration strikes. The notebook has 64 pages and includes a storage pocket at the back. Please note that as each notebook is hand printed slight variations may occur. 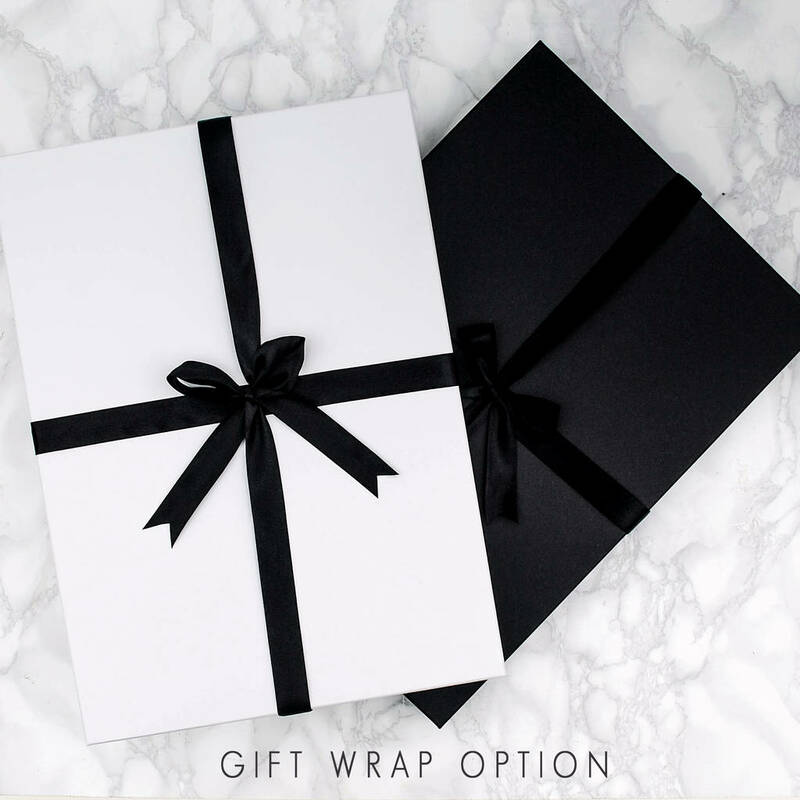 Where a product is personalised we print exactly what you send. All you need to do is enter the name you would like in the box on the right. There is a maximum charecter allowance of 12 character. 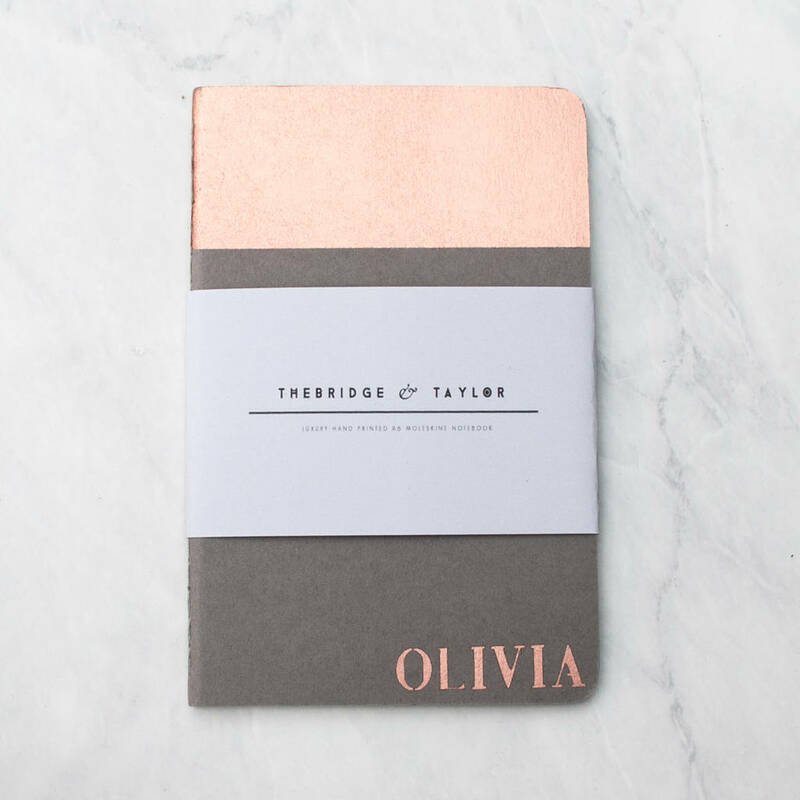 Please note that as each notebook is hand printed slight variations may occur. 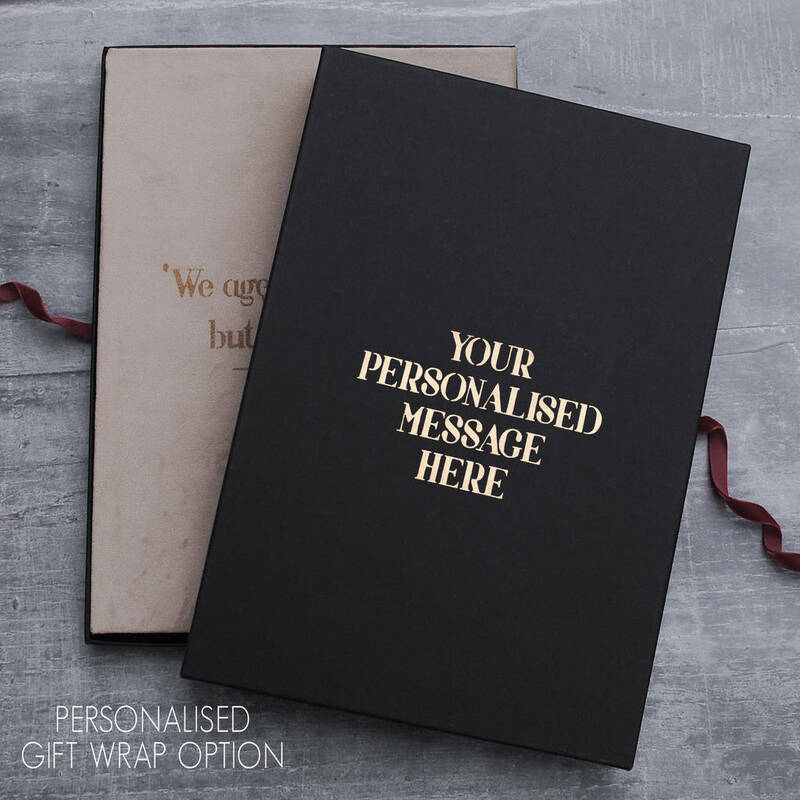 Where a product is personalised we print exactly what you send.